Maximise your resources; people are your most important and expensive commodity. Take the next step in increasing dealership opportunities and profitability using our professional consulting service. You will be able to extract the most out of your tools and resources as our experienced consultants will assist you in reaching maximum efficiency, improving overall dealer workflow and process performance. Our team of experts will offer you a fresh perspective on your dealer management system utilisation, business procedures and other common challenges in all departments. With strong dealership, industry knowledge and best practice solutions Nick, Yanni and Gerrit can significantly transform the way your dealership operates. Each consultant has many years of industry experience and will customise their approach to meet your business requirements. Gerrit Schoeman obtained his Bachelor of Commerce degree in Accounting in 1988 at the University of Pretoria in South Africa. Shortly after, Gerrit entered the motor industry, where he found his “home”. He spent 13 years as a Financial Controller, where after he was promoted to Dealer Principal / General Manager for a further 7 years. Gerrit found his passion in this industry and as a result of his dedication he fought to turnaround a failing dealership in Johannesburg into the National Dealer of the Year for 2010. This accomplishment was achieved in just eighteen months. In addition, the award was achieved during the global financial crisis. In 2012, Gerrit made the move to Australia for many reasons, least of which was the fantastic scuba diving sites to be explored. Today, Gerrit is a member of the Institute of Public Accountants in Australia, and with his in-depth knowledge of the motor industry is able to share industry insights, help dealerships implement better practices and improve dealer management systems. Gerrit will provide structure, guidance and education to improve processes, minimise costs, increase productivity as well as generate more dealership revenue through better customer retention. Isn’t this what every dealership needs? Yanni has 16 years of automotive experience of which 9 were spent with Barloworld in South Africa (approx. 60 dealerships country wide). 5 years as Financial Controller in a General Motors Dealership and 4 years at Head Office as a business consultant, concentrating on optimising business processes and aligning business processes with the DMS. Over this time he worked closely with dealership management and Head Office management to achieve these goals. 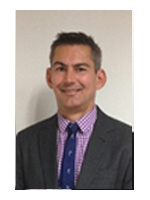 After coming to Australia late 2008 he has been with BMW and Audi for the past 6 years as Financial Controller. For the past 5 years, he has worked on the ERA system and was always actively involved in Pentana Solutions rollouts, such as Pre-delivery, Advanced Deal Log, Dealersocket, Eranet Service to name a few. 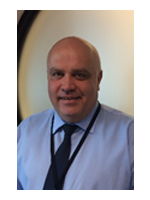 His interests include system optimisation and process improvement and the resultant change management. Since joining Pentana in May, Yanni has taken ownership for rollout and implementation of Advanced Deal Log and was invited to be part of the first ever eraPower pilot site rollout. Gerrit, Yanni and Nick will structure the approach to address the key challenges surrounding your dealership. Pentana Solutions consulting services are $1,850 plus GST per day providing you with professional advice to improve overall business performance. If you’re looking to enhance current business practices through experienced guidance then make an inquiry below or contact us on 1300 007 925 and one of our consultants will call to understand your business needs.